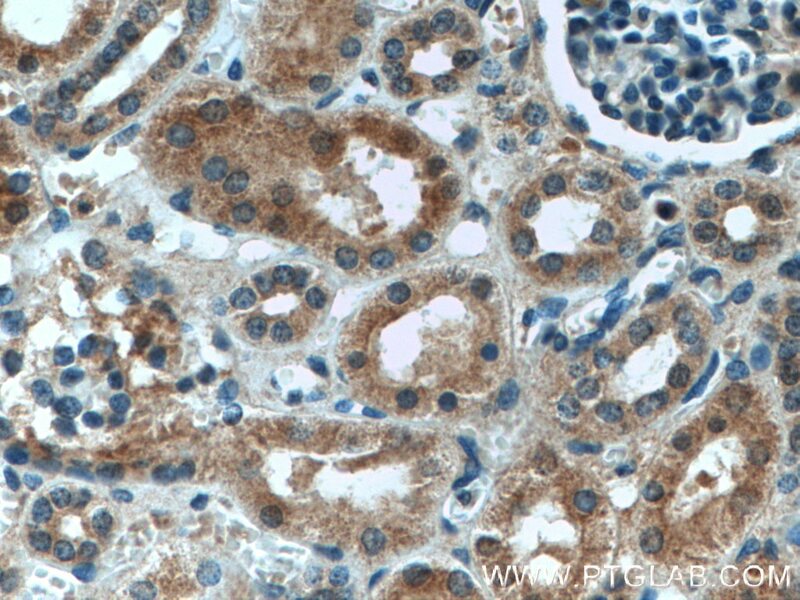 Immunohistochemical analysis of paraffin-embedded human kidney tissue slide using 14116-1-AP (ASPH antibody) at dilution of 1:200 (under 10x lens) heat mediated antigen retrieved with Tris-EDTA buffer(pH9). 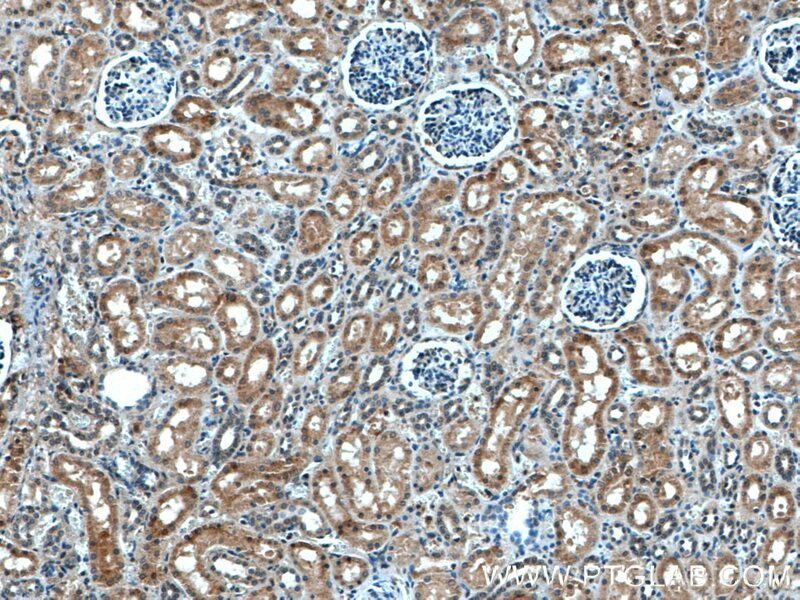 Immunohistochemical analysis of paraffin-embedded human kidney tissue slide using 14116-1-AP (ASPH antibody) at dilution of 1:200 (under 40x lens) heat mediated antigen retrieved with Tris-EDTA buffer(pH9). Hydroxylase Activity of ASPH Promotes Hepatocellular Carcinoma Metastasis Through Epithelial-to-Mesenchymal Transition Pathway. Construction and Characterization of Adenovirus Vectors Encoding Aspartate-β-Hydroxylase to Preliminary Application in Immunotherapy of Hepatocellular Carcinoma.